October History Time Line - St Colman's Boys' School, Kanturk. Oct 1st 1908: Henry Ford's Model T, a "universal car" designed for the masses, went on sale for the first time. 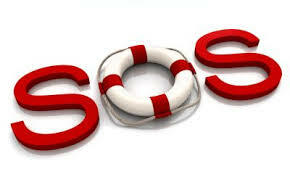 Oct 3rd 1906 : SOS Established. Oct 3rd 1990 - After 45 years of Cold War division, East and West Germany were reunited as the Federal Republic of Germany. Oct 4th 1957 - The Space Age began as the Russians launched the first satellite into orbit. 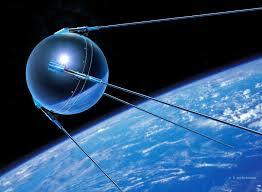 Sputnik I weighed just 184 lbs. and transmitted a beeping radio signal for 21 days. October 13, 1884 - Greenwich was established as the universal time from which standard times throughout the world are calculated. October 16, 1793 - Queen Marie Antoinette was beheaded during the Reign of Terror following the French Revolution. She was the wife of King Louis XVI and had become the symbol of the people's hatred for the old regime due to her extravagance and frivolity. According to legend, she responded, "Let them eat cake," when told poor people had no bread. October 24, 1922 - The Irish Parliament voted to adopt a constitution for an Irish Free State, which formally came into existence in December. October 24, 1945 - The United Nations was founded. Birthday - Microsoft founder Bill Gates was born in Seattle, Washington, October 28, 1955. In 1975, he co-founded Microsoft with Paul Allen, designing software for IBM computers. By 1980, Microsoft became the leading software company for IBM compatible computers. Gates became a billionaire by age 31 and remains one of the world's wealthiest individuals. October 29, 1618 - British explorer Sir Walter Raleigh was executed in London for treason on orders from King James I.
October 30, 1938 - The War of the Worlds radio broadcast panicked millions of Americans. Actor Orson Welles and the Mercury Players dramatized the story by H.G. Wells depicting a Martian invasion of New Jersey. Their script utilized simulated radio news bulletins which many listeners thought were real. October 30, 1990 - For the first time since the Ice Age, Great Britain was connected with the European continent, via a new rail tunnel under the English Channel. October 31st - Halloween or All Hallow's Eve, an ancient celebration combining the Christian festival of All Saints with Pagan autumn festivals. October 31, 1517 - Martin Luther nailed his 95 Theses to the door of Wittenberg's palace church, denouncing the selling of papal indulgences and questioning various ecclesiastical practices. This marked the beginning of the Protestant Reformation in Germany. October 31, 1941 - Mount Rushmore National Memorial was completed after 14 years of work. The memorial contains 60-foot-tall sculptures of the heads of Presidents George Washington, Thomas Jefferson, Abraham Lincoln and Theodore Roosevelt - representing America's founding, political philosophy, preservation, and expansion and conservation.